Tables of pressure. Tons pressure required per linear foot for air bending. 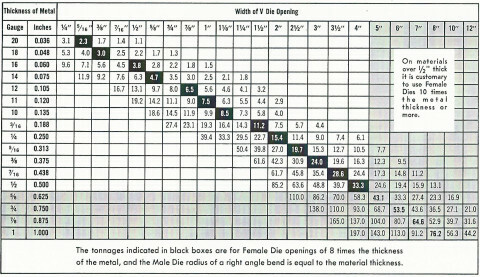 Approximate pressure for Standard Dies when used on mild steel.